Ridley Scott is definitely trying to keep PROMETHEUS a secret! He says it's not related at all to Alien even though the Space Jockey's are in it. Now Scott has revealed Guy Pearce's role and his link to Alien and it's a good one if it's true! Pearce has already admitted he's only in the movie for just a minute. When the first Alien movie and Blade Runner were made, I thought that in the near future the world will be owned by large companies. This is why we have the Tyrell Corporation in Blade Runner, and Weyland-Yutani in Alien. They sent the Nostromo spaceship. 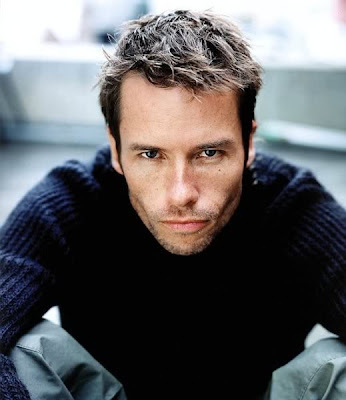 The Prometheus is owned by an entrepreneur called Peter Weyland, and is played by Guy Pearce. That’s the connection between the two films, and nothing more. Prometheus is a new film, a new world, and is full of new ideas. And of course new monsters as well. Prometheus will land in theaters on June 8th and all will be revealed, finally!